Craig Breen & Paul Nagle made it two wins from two by taking victory on the second round of the Irish Tarmac Rally Championship, the Clonakilty Park Hotel West Cork Rally. As with the first round in Galway the Fiesta R5 crew were pushed very hard by Alastair Fisher and Gordon Noble in a similar car and the winning margin was 22.2 seconds by the end of the fifteen stage event. Tom Cave and James Morgan took 12 championship points after a fantastic drive in the Hyundai i20 R5, the Welsh crew only fifteen seconds behind Fisher. Conditions were extremely difficult on the first day and many of the championship regulars hit problems. Manus Kelly damaged the axle of his Hyundai on the opening stage but re-joined under Rally 2 while Declan Boyle lost several minutes with electrical problems on the same stage. Desi Henry damage a wheel on the second run over Ring while Daniel Cronin (overheating engine) and Meirion Evans (fuel pressure) were out by midway through the first day. The weather improved considerably on the second half of the opening day, but tales of woe continued. Josh Moffett was the early leader but dropped out of the overall reckoning with a broken prop shaft on Stage 6 and Donagh Kelly retired after damaging a wheel in the Skoda. The second day was dry and sunny and the action was as intense as ever, as Fisher tried in vain to close the gap to Breen. 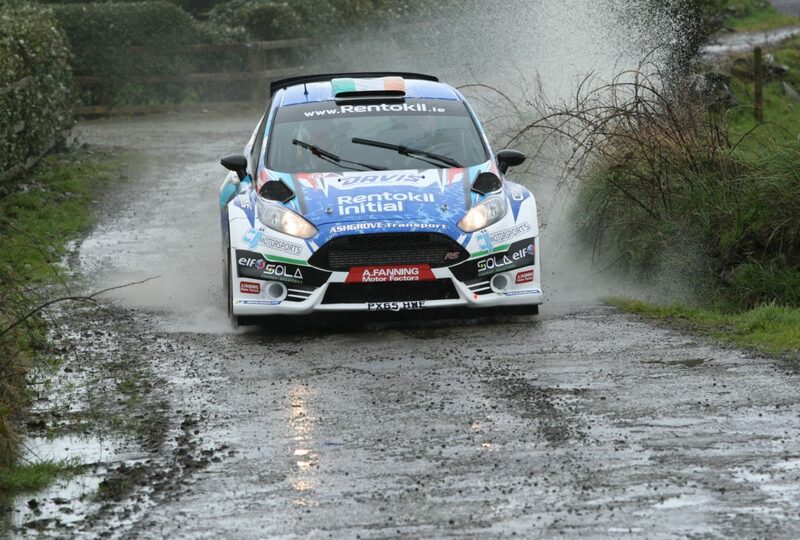 In the end he had to give way, but it was another immense performance from Fisher to take the challenge to Breen. Former winner Robert Barrable struggled to get into the groove after a bright start and finished eighth overall in a Skoda while Sam Moffett was another who was unusually subdued, eventually edging Callum Devine for fifth place. Stephen Wright, Jonny Greer, David Guest and Brendan Cumiskey were all in the points but Stephen McCann retired after an accident during the second day. Group N was won by William Mavitty in his Mitsubishi Lancer ahead of Andy Davies after Michael Boyle retired on the second day. William Creighton took the top R2 points ahead of Jonathan Mulholland. Second overall behind Mikko Hirvonen was enough to move Damian Toner into the Modified Championship lead after two rounds despite a huge overshoot early in the event. David Condell took second place points followed by Kevin O’Donoghue, Conor McCrossan and J.R. McDaid. The Historic Championship saw Ray Cunningham extend his lead after a fine third place overall with Luke McCarthy taking top points. The junior championship saw Aaron Browne take maximum points and he shares the championship lead with Shane Norris who retired on this event. Mick Lonergan and Cian Walsh are currently tied for second place. 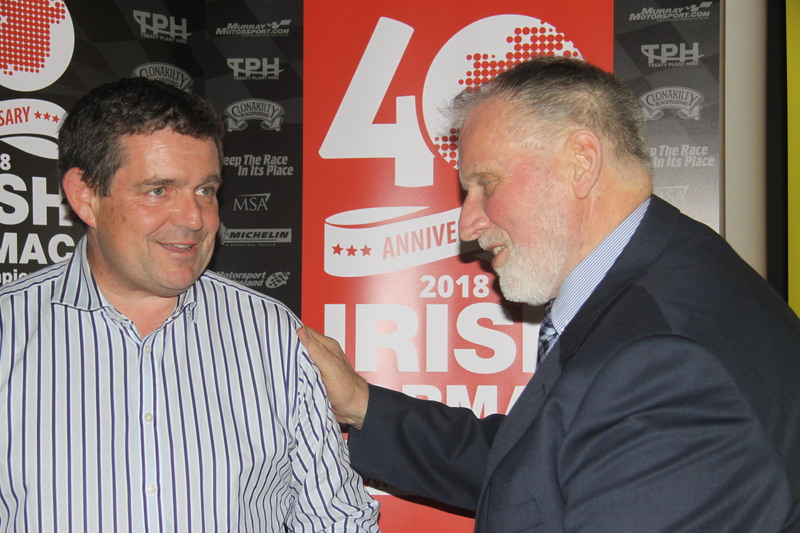 The third round action will move to Northern Ireland with the Wastewater Solutions Easter Stages Rally which will take place on the 19th & 20th April next.